There are hundreds of marketing, branding, tech and agency events every year. While it’s important to keep your knowledge updated, expand your network and get an occasional motivation-booster, it’s quite difficult to pick out the most relevant conferences to attend. A grandiose symposium or an intimate gathering? Agency know-how, general digital marketing, creativity, innovation or niche such as SEM, PPC or content? Have a look at this list of various events from New York to London to Northern Europe. Join the Adobe Summit and discover strategies to transform your business and deliver personal and engaging customer experiences. Why attend: The Summit covers a wide area of expertise from advertising and content to marketing operations and analytics. If you didn’t make it to the Adobe Summit in Las Vegas which was already successfully held in March, you will definitely get a whole year’s worth of insights and ideas from top experts from Adobe, Virgin, SAP, Deloitte, Adidas, Amazon, and many others. What’s special about this event: You can choose from over 110 in-depth breakout sessions and 30 labs across 10 tracks, featuring case studies from leading brands and best practices from technology experts. If you know what you are looking for and don’t get confused by the oh so many opportunities – you’ll get more than enough value for your money. The only industry event focused on driving agency growth. Why attend: It truly seems to be one of the very few events solely dedicated to agencies. There are numerous conferences, workshops, etc. for marketing, growth, and other similar competencies, but not so many events for operating a business behind the scenes. More than 50 speakers and 30 sessions will give you the insights you need to take your agency to the next level. What’s special about this event: If you can’t be there in-person, you can still take part via the live broadcast for a quite reasonable ticket price. Are you an agency focused on growth? Or maybe you’re struggling with your operational efficiency? Don’t miss out on this rare opportunity! Experience the latest research live: benefit from market-leading research, unique insights and unsurpassed networking opportunities. Why attend: Today, marketing leaders are expected to guide strategic decision-making and drive revenue growth. At the Gartner Digital Marketing Conference 2018, you will learn how to bring your marketing vision to life as a customer-centric strategy that delivers real results for the business – and execute your plans with the right mix of talent, technologies, programs, and partners. What’s special about this event: Although the event is aimed for multitude of roles – marketing, analytics, customer experience, commerce and multichannel marketing, Gartner has put together a dedicated program for Chief Marketing Officers. The CMO Experience Leadership Program enables marketing leaders to access private sessions and networking events. You have to get accepted first, of course. Why attend: This three-day event brings together visionaries and forward-thinkers from around the world to explore the relationship between commerce and creativity, and its potential to redefine business. It’s definitely the place to unleash your creativity and mind, and come back with a whole new perspective. What’s special about this event: You will find no booths or expo areas. The event focuses on taking action and getting a hands-on learning experience. Take part in the interactive masterclasses, workshops and networking games. Oh, and the dozens of artists who are performing should get your brain into the right creative groove. Elite Camp is a highly practical event covering growth, conversions and traffic. No fluff, no theoretical debates. We’re bringing you speakers that make their clients more money – all day, every day. And now you can copy what they’re doing. Why attend: The intro says it all – this event is all about hacks, tips and actionable tactics. Three days full of intense hands-on learning and of course – intense partying (khm.. networking) to celebrate their 10th anniversary. What’s special about this event: Top growth and CRO experts from all over the world are gathering to a private beach resort in Northern Europe to teach all they know to a handful of people. Well… I’m definitely interested. The world’s most inspiring creative festival – five days of talks, workshops, networking events, classes and awards shows for people in the branded communications, marketing, design, tech, media and entertainment industries. Why attend: The Cannes Festival is a must-attend event for every advertising adventurist, marketing mastermind and creative genius. The festival has been bringing the communications industry together once every year since 1954. It’s an amazing opportunity to learn, share, be inspired, network and celebrate. 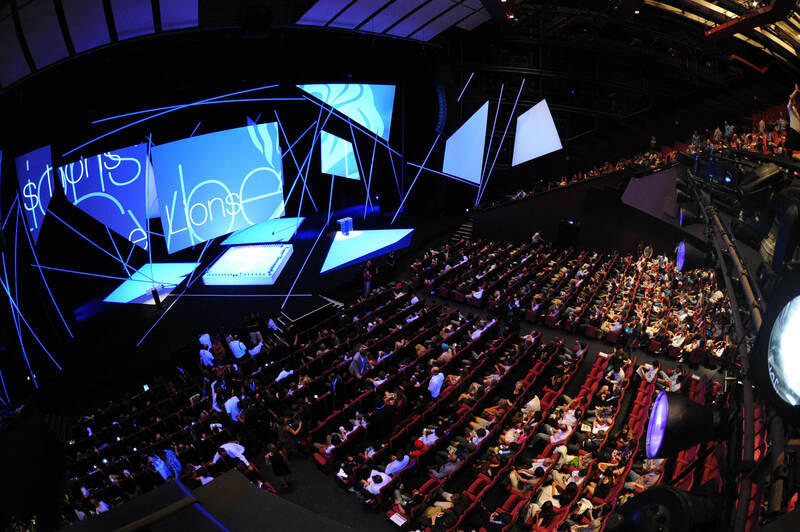 What’s special about this event: For a long time Cannes Lions was mainly an advertising awards event, but it has evolved into so much more – a true meeting point for advertising, marketing, entertainment, media, art, and technology. Cannes Lions has embraced diversity and created a great platform to get leads, launch business partnerships, recruit, and come back with tons of fresh ideas. Exceptional speakers. Actionable tactics. Fist bumps for all. Join a three-day, one-track conference full of forward-thinking, tactical sessions in SEO, growth marketing, the mobile landscape, analytics, content marketing, and more. Why attend: At MozCon you’ll meet the Moz staff, various SEO and content industry leaders, SEO specialists, content marketers, agencies, executives, and all other kinds of marketing people, plus Moz’s very own friendly robot, Roger. It’s a popular niche event with lots of knowledge-packed sessions and networking with your peers. A conference revolution for marketing evolution. Why attend: Single track, thoughtfully curated and made for action, CTAConf is a conference experience designed for a rapidly changing landscape. Get real advice from true experts in every facet of digital marketing to leave you feeling inspired, energized and primed for marketing victory. The conference is rather small and intimate – boast with having a friendly environment which doesn’t feel forced and “networky”. Meet, chat and party with your fellow marketeers. What’s special about this event: What I find interesting about this event is the lack of specifics. Do the keywords “CTA” and “unbounce” say it all? Well, there’s nothing more about the content and topics of this conference. I guess, landing page conversion is the main theme then. Hopefully they’ll add some more details soon. Why attend: 225 expert speakers and over 120 sessions and workshops will cover strategy, storytelling, ROI, demand generation, AI, and give you more new ideas than you can shake an orange stick at. CMW 2018 promises to be more hands-on and give even more networking opportunities. What’s special about this event: This year’s TOP 1 keynote speaker is Tina Fey, renowned Producer, Writer & Actor. With more awards in the creative industry than you can count, Fey will be a much-anticipated speaker to highlight the event. Join thousands of marketing and sales professionals from around the globe who are seeking better ways to engage their markets and grow their businesses. Why attend: Similar to the other listed events here, Inbound promises actionable education with over 200 sessions, lots of inspiration to eagerly apply these new-found tactics and strategies, and of course – networking events and entertainment. What’s special about this event: Inbound Conf is organised by the well-known inbound marketing software company Hubspot, Inc. So, some may say Inbound is a huge promotional event for Hubspot. Nevertheless, it’s a great conference focused on inbound marketing, and as a bonus, you can learn more about Hubspot as a software and connect with various other service providers. 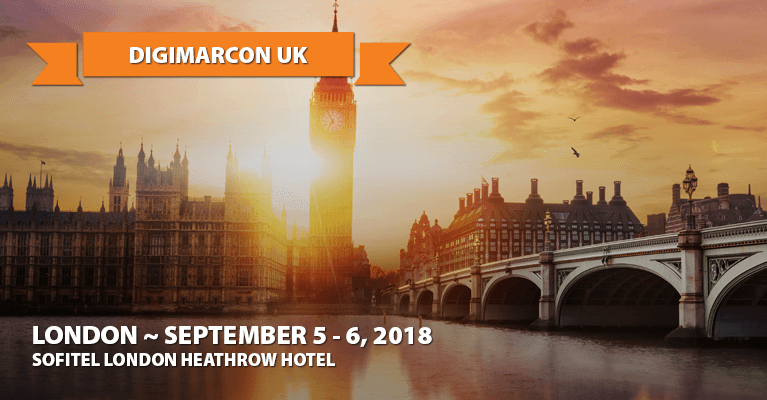 DigiMarCon is a series of marketing events around the world. If you’re a marketer, executive, sales professional, developer, entrepreneur or an investor, plan on attending a DigiMarCon event near you. Why attend: Are you looking for practical and actionable advice from the top guns in the marketing industry? If so, DigiMarCon sessions will help you with building traffic, expanding brand awareness, improving customer service, gaining insight into today’s latest digital tools, and much more. Check out these 10 reasons to attend DigiMarCon. What’s special about this event: There’s also an online version of the conference on November 27th and 28th with supposedly over 10,000 attendees from the digital marketing field. Or if you’re up for something more exciting – you can wait until next spring and join the DigiMarCon cruise leaving from Orlando. ad:tech London has long been the UK’s global gathering of marketing and advertising technology players. A single destination for finding solutions for all your digital marketing and eCommerce needs. 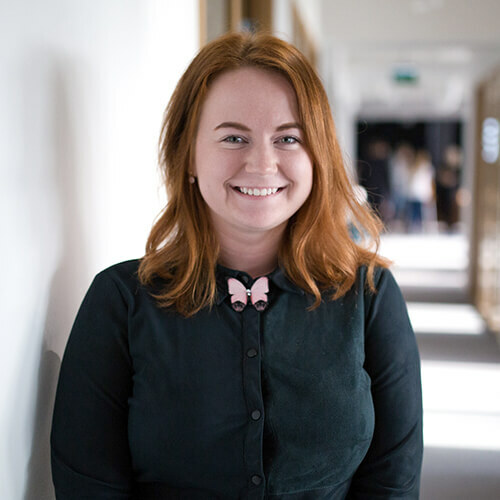 Why attend: ad:tech London is here to help industry leaders from the brand, agency and media glitterati unlock their full creative potential using the power of technology, and inspire revolutionary ideas that are now within the realm of the possible. This year’s ad:tech has joined forces with Technology for Marketing and eCommerce expo, so you’ll get a 3 in 1 experience. The event is all about digital education, learning about the latest trends in MarTech and connecting buyers with relevant and qualified vendors. What’s special about this event: The matchmaking will start even before the show – every delegate and exhibitor will get access to an application which will allow you to do research, initiate contact and pre-schedule meetings to get the most out of the event. The ad:tech organisers have claimed that no other event is more committed to delivering ROI for both exhibitors and delegates. Next is Ad Age’s largest annual event, convening a summit on marketing in a world where Alexa chooses what brands to order for its owners, the “ultimate driving machine” takes driving away from its buyers and A.I. takes on humans to close a sale first. Why attend: In a series of fast-paced presentations, attendees will learn how to prepare their brands and take advantage. To break up the day and surface little-spoken truths, Next will also host a series of debates on the key questions for brands in the automation age. And a lightly directed networking session will make sure attendees get to make new connections and exchange ideas. What’s special about this event: Ad Age is a global media brand publishing analysis, news and data on marketing and media. Created in 1930 to cover a burgeoning industry with objectivity, accuracy, and fairness, Ad Age continues to be powered by award-winning journalism. There are currently 10 events for this year announced on their site, take a look. The world’s largest conference for advertising, marketing and technology celebrates 15 years. Why attend: Advertising Week is a worldwide gathering of marketing, advertising, technology and brand professionals. From daytime seminars and workshops featuring some of the industry’s brightest minds to organised networking and world-class entertainment, Advertising Week is a one-of-a-kind experience. What’s special about this event: The event provides its attendees with a great way to network – via the AW Connect app. Set up a profile, chat with other delegates, make plans with your profile matches and schedule meetups at the happy hour events. AW seems to be laser-focused on making connections and building relationships – be it via the app, during the Leadership Breakfast events, workshops, Awards Ceremonies, or other special events. The Future of StoryTelling (FoST) is a passionate, creative community of people from the worlds of marketing, technology, and media who are exploring how storytelling is evolving in the digital age. 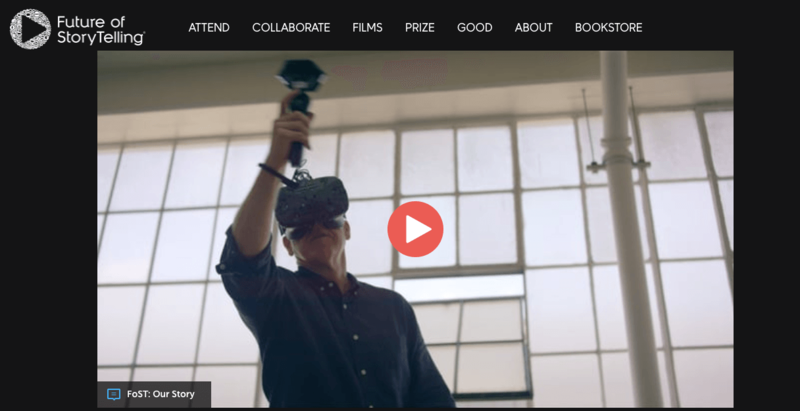 Why attend: FoST opts for intimate roundtables with Fortune 100 leaders, brilliant technologists, marketing visionaries, and renowned academics; workshops and immersive storytelling exhibits instead of keynote speakers. It’s definitely a memorable experience focusing on inspiration and innovation, rather than practical everyday hacks. What’s special about this event: The FoST Summit is an exclusive, invite-only gathering of top leaders from the worlds of business, technology, marketing, and the arts who are interested in how storytelling is changing in the digital age. If your application gets selected, you will meet the brightest curators and influencers. The most rapidly growing tech conference in the world – from a simple idea in 2010 to epic in 2018. Why attend: More than 1200 speakers, 2500 journalists and 70,000 attendees from all over the world will be ascending to Lisbon, Portugal for a week in November to be a part of one the biggest, baddest, flashiest tech conf in the world. Well, at least in Europe. Past speakers have included Arianna Huffington, Jack Dorsey, Prof. Stephen Hawking, Michael Dell and thousands of other great minds – the people driving change in their industry. What’s special about this event: Web Summit consists of 23 themed conferences. For advertising and marketing agencies we suggest to check out: PandaConf, ContentMakers, creatiff, Growth Summit, binate.io, and why not Corporate Innovation. After a hard day’s of work of getting inspired and mind-blown, head out to the Sunset, Pub or Night Summit for proper relaxation and informal networking. There are too many events, don’t you agree? When choosing the conferences to attend, start with figuring out your aim – hands-on knowledge in some specific niche, motivation and new ideas, great networking opportunities or a mind-blowingly awesome experience. Hope you got some relevant insights from this list!